Below you can view all the homes for sale in the Salem Village subdivision located in Apex North Carolina. Listings in Salem Village are updated daily from data we receive from the Raleigh multiple listing service. To learn more about any of these homes or to receive custom notifications when a new property is listed for sale in Salem Village, give us a call at 919-759-5775. Tankless hot h2o, 3 car garage & storage rooms. Neighborhood pool & clubhouse. MLS#2246698. 3245. 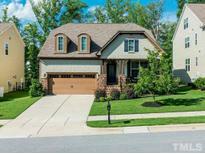 Oversized garage, screened porch, tankless water heater, community pool & playground. MLS#2244807. 4567. Awesome Apex location with easy access to downtown, Rt1 & 540! 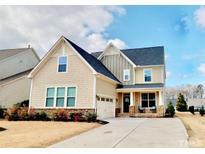 MLS#2237702. 3770. Tennis courts, a park, and recreational courts are part of the Salem Village Owner's Association Inc. MLS#2241390. 4823. Landscaped. Custom Blinds. Custom Closets & More MLS#2239442. 3270. Close to Downtown Apex! Cmmty Pool, Clubhouse w/gym! MLS#2238300. 986. Upstairs offers dual owner’s suite/bonus Room, spacious loft & 2 bathrms Centrally located to highway 540, 64, 1, and downtown Apex. Highly rated schools! MLS#2233495. 2058. Enjoy the All the great Amenities and incredible Location that Salem Village Offers MLS#2219571. 2036.